Prime Minister Dr Keith Mitchell has announced that his administration will “make the necessary changes” to parts of the Electronic Crimes Bill that critics say could impede free speech. 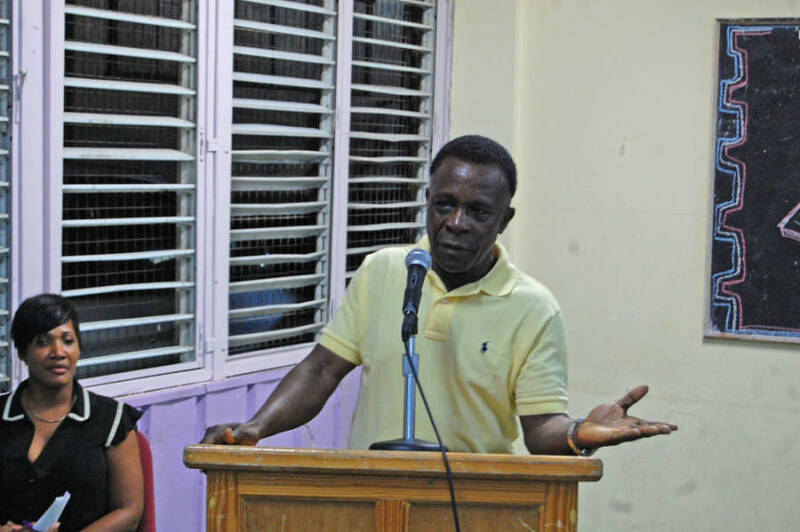 Dr Mitchell made the comment recently at a public forum in rural St Andrew, in response to a question from a member of the audience. “I have agreed to make the necessary changes, after having discussions with members of the local and regional media, so that there will be no doubt about the intention of the country,” Dr Mitchell said. Some of the critics of the act have said that section six, which says people can commit a crime online by providing false information that is “grossly offensive”, or which causes “annoyance”, “insult” and “ill will” will have a chilling effect on free comment online. They have also argued that it could result in the effective return of criminal libel which was abolished last year. “Criminal libel has gone and is not coming back,” Dr Mitchell said. But Prime Minister Mitchell said, in his latest comments, that was never the intention of his government. “We have no intention of limiting free speech or any types of comments. That was never the intention of the act, and if that gives that impression we will deal with it,” Dr Mitchell said. “The Prime Minister was absolutely clear in that meeting about the tone he wants to set, and the direction in which he wants to go, and he will personally lead the charge for a possible amendment when parliament resumes after the current break,” he said. “Remember the Electronic Crimes Bill has been widely praised, but there is this one section that in the drafting, could be be less ambiguous and less threatening, and the absolute commitment is there to deal with that,” Mark said. “I have conveyed to my colleagues in the media at home and abroad, the commitment of this government; and particularly that of the Prime Minister, and based on the legislative timetable, this issue will be adjusted before the end of the year,” Mark said.